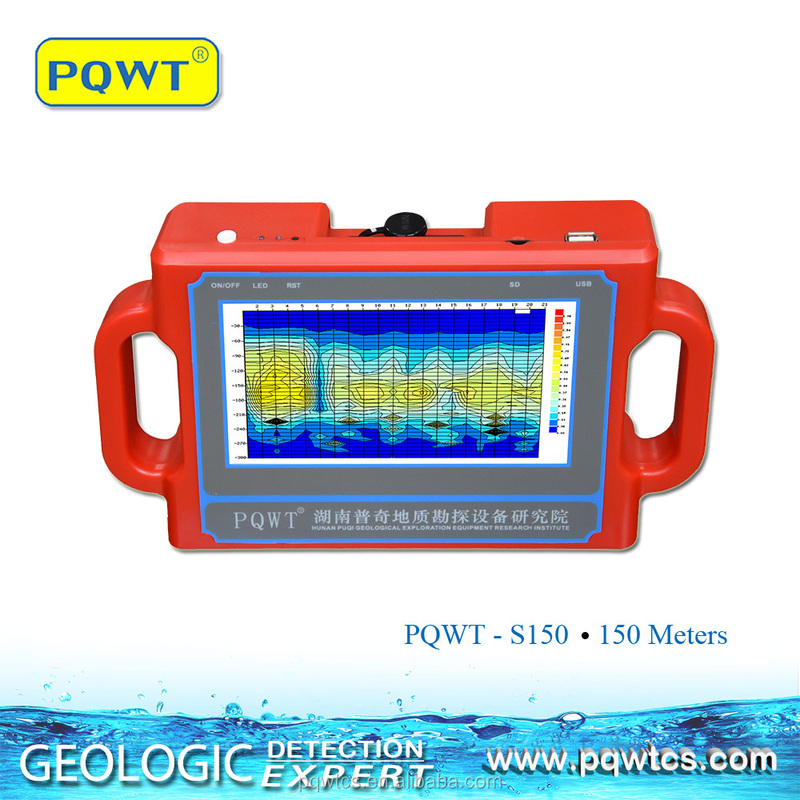 PQWT-S150 geophysical prospecting mapping with one button ground water detection equipment utilize the natural electric field as working electromagnetic field source, based on the resistivity differences of underground rock , ore or groundwater, measure natural electric field on the ground of N different frequencies electric field component. 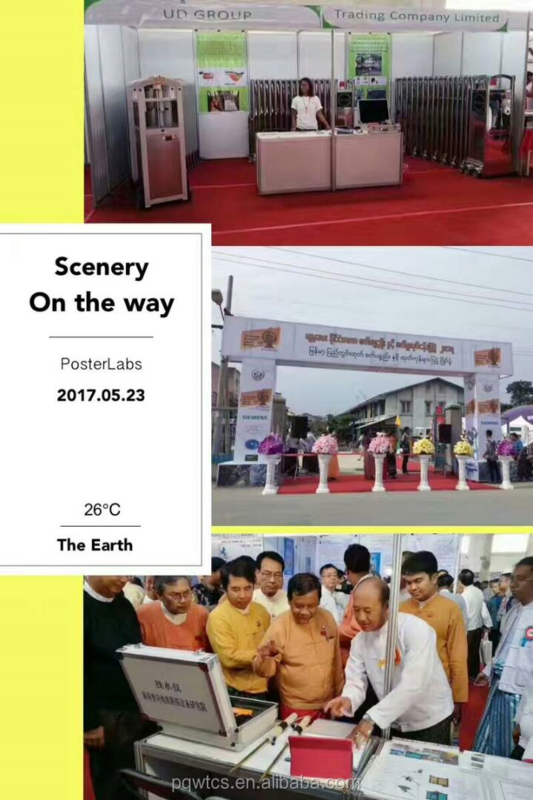 According to their different variation to study the abnormal changes which is caused by different geological bodies ,to solve the geological problems of a kind of electrical prospecting method. 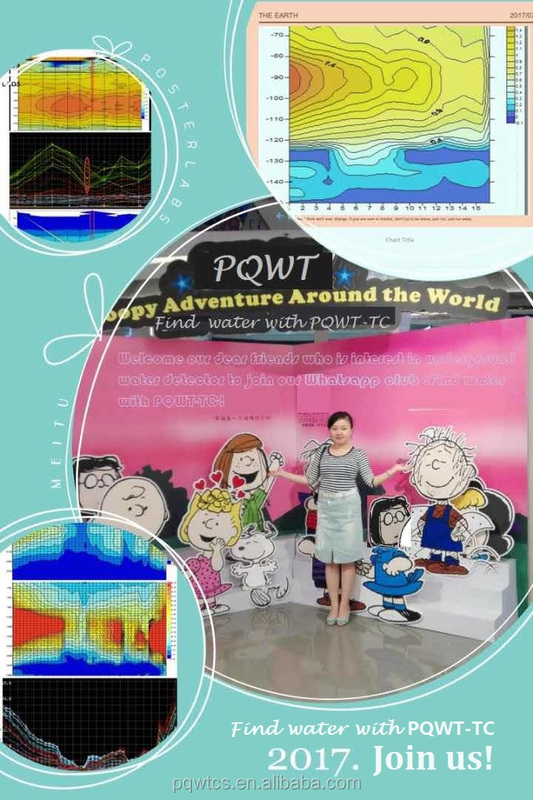 PQWT-S150natural electric field a key to mapping geophysical prospecting underground water detector is our latest research and development of products, using a number of patented technologies. 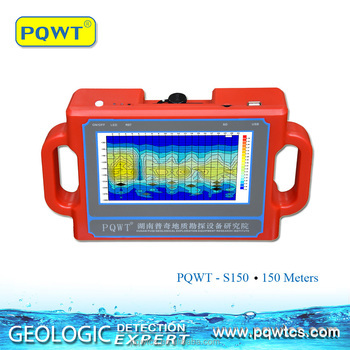 The instrument weight is very light to carry easily , the measuring line need only 10 meters, one person will be able to complete the operation, saving manpower, full touch screen, simple operation, external high-capacity memory card, with the function of real-time mapping with only one button, finding high resistance (fault zone), low resistance (such as water, mining census) through realtime mapping directly display geological abnormal on the measuring site. 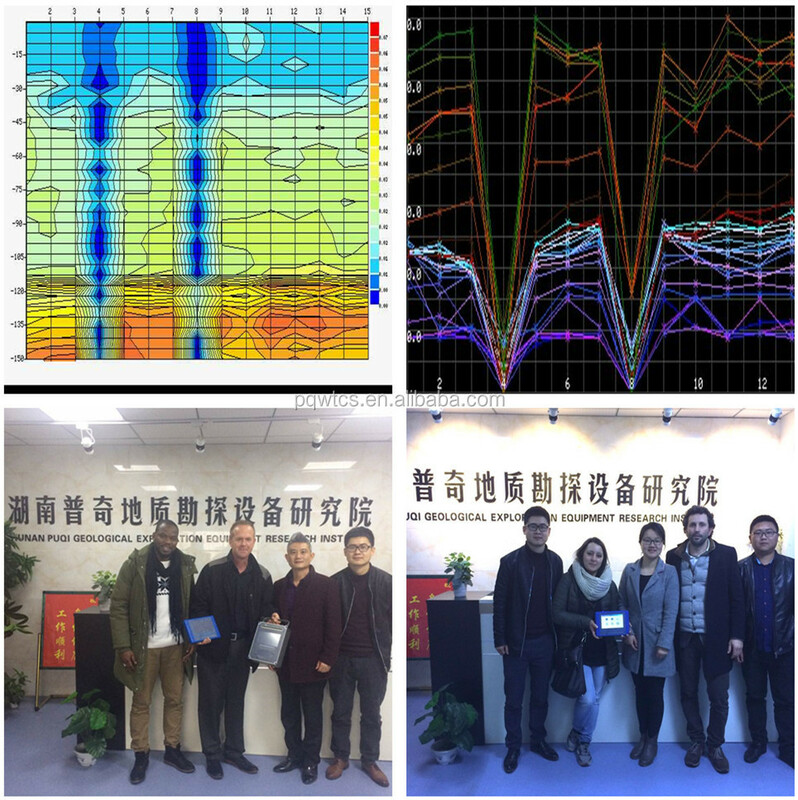 After data collection by the unique built-in computing functions, the instrument can automatically draw curve graph and profile map with only one button, according to the profile map, you can clearly understand the geological structure and quickly determine the location of ore body (seam), hollow (cave), water (aquifer) etc. It will show more detailed profile map at depths above 150 meters in 150m mode . 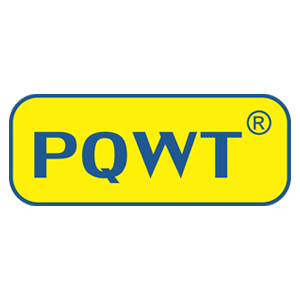 1>PUQI is the only Geologic Exploration Equipment Institute in China with PQWT Patent of The high quality! Hunan Puqi Geological Exploration Equipment Research Institute is the Only Geologic Exploration Equipment Institute in China. 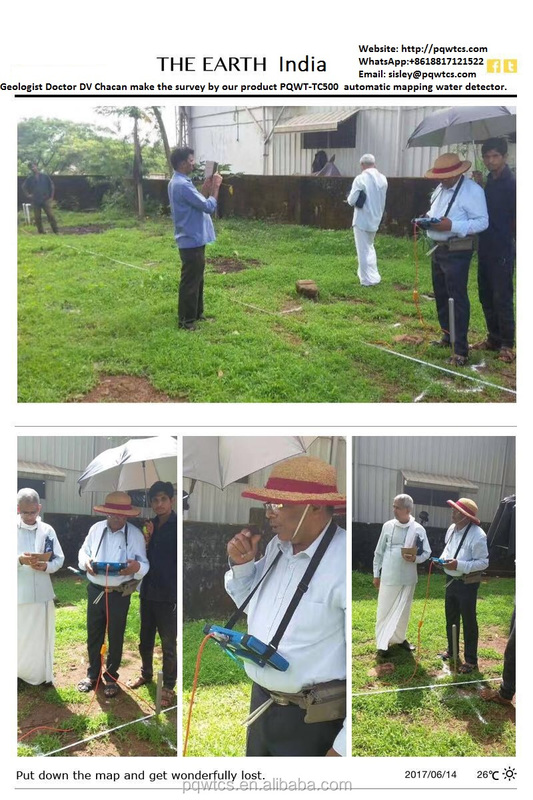 We are R&D and Manufacturer of Underground water Detector, Underground Water Leak Detector, Underground Metal Pipe and Cable Locator, borehole inspection camera. Since our institute expanded her business worldwide this year, we had sold many units to our users and got a very good reputation. 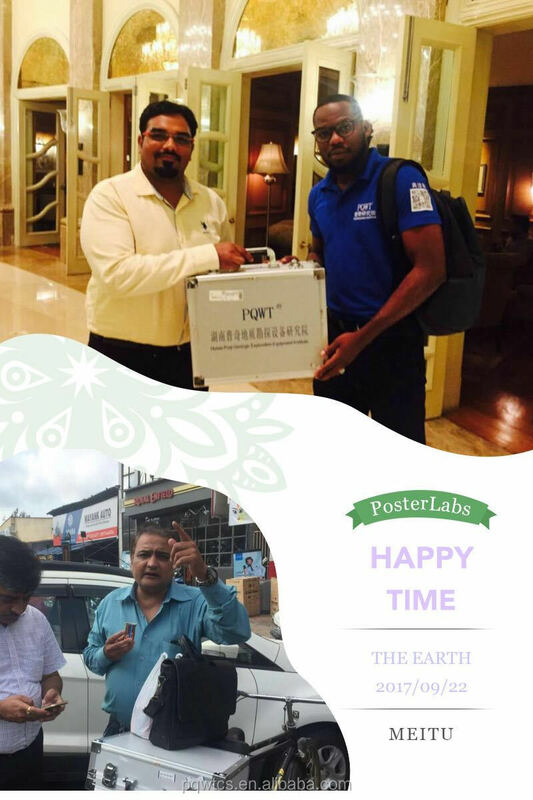 Meantime, a tremendous amount of inquiries from all over the world had been received in a very short leading time. We are currently recruiting distribution agents worldwide. OEM and ODM are all welcomed. We will provide technical support to develop your local market. 3) Have experience of using and/or selling of geographic products. 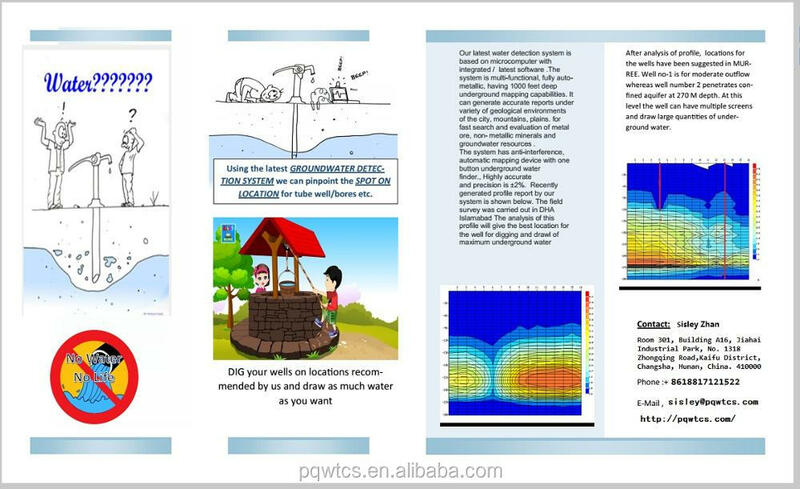 Hi,My friend, we have a whatsapp interest group "Find water with PQWT-TC" . Would you like to share the knowledge of operating our device and how to analysis the geologic feature profile map? Pls do not hesitate your enthusiasm to join the group and share happiness with us!